Natural Health is the Best as a First Choice! The SOONER you Choose Natural Health Solutions for Health Issues, the MORE EFFECTIVE it is. Restore and Improve your Health with 100% Natural Organic Solutions. Holistic Health Consultant, Dr. Shari, guides you through a natural journey. Holistic Health service is about whole body-mind health assessment. It is more about becoming evaluating a client’s whole health needs. Actually, natural health solutions are the best and FIRST choice for everybody’s health promotion. Holistic health evaluation guides you through natural solutions. In fact, Chronic Disease Prevention is a Holistic Health ultimate Goal. We can prevent diseases in every stage they are. Certainly, lifestyle has a huge impact on diseases prevention. Question is here; How can we change lifestyle? Doctor of Naturopathy guides you on how to change and improve your lifestyle skills and become your own doctor. Doctor of Traditional Naturopathy helps clients to become their own health problem solvers. Actually, you can be your own self-directed disease controller. Don’t wait too long, avoid suffering as soon as you can with natural health consultation. The results of the holistic health approach will be seen through increased motivation, confidence, independence, and improved healthy habits, longevity, and rejuvenation. Do you know that the World Health Organization( WHO) estimates that between 65 to 80 percent of the world’s population (about 3 billion people) rely on holistic medicine as their primary form of healthcare? The doctor applies non-invasive Quantum Machine that makes it possible to trace any conditions in the body through changes in the wave characteristics of tissue, individual cells, chromosomes, and even separate ferments and hormones. After the whole Health evaluation, Doctor Shari identifies a related root cause of your health issues, what nutrient deficiency you may have. Doctor of Naturopathy will find out what natural health solution is the best fit for your own individualized health condition. Everybody is different so the effective solution is different too. Evaluation of your wellbeing is specialized only for you! Finally, Doctor of Naturopathy will guide you through the natural health journey to apply the various natural health methods that work the best for you to establish, maintain, and restore your health! Iridology or Iris reading is a science of reading eyes. we have a method of studying the actual IRIS EYE tissue change. Iris reading foretells the development of many health conditions long before they have manifesting diseases symptoms. we have the opportunity of seeing by an external sign in the eyes and the internal organs change. Iridology guides us to a better state of health. The real value of iridology is due to the fact that we have a direct Eye evaluation of the client. We can tell whether he is improving in health, or his condition is becoming worse. We can prevent diseases in every stage it is. Of course, the sooner, the better results!!! Iridology has many advantages over any other forms of methods: The iridologist can determine the inherent structure and the working capacity of an organ. It can detect environmental strain. The iris of the eye can show acute, subacute, chronic and destructive stages of the disease in the body. Many other factors are also revealed, such as organic and functional changes, inherent weakness, and how we respond to our environment with the body we possess. It reveals the suppression of diseases through maltreatment, such as administration of drugs, which is not the right way to correct any condition. Iris reading indicates when tissue is not being replenished and rejuvenated. When symptoms disappear, most of us say we are well, but the body may be far from well. Doctor of Traditional Naturopathy analyses the iris to get details of your health history correctly. Then, she will guide you to select effective approaches to target the underlying causes of diseases. Our goal is to help your body heal itself over the time and restore its healthy internal and external environment. Your body has an inherent ability to establish, maintain, and restore health. We are here to help it. Vitamin Supplement: After whole health evaluation is done and root causes of underlying health issues are discovered, Dr. of naturopathy will suggest you the more effective high potency vitamin and mineral supplements. The doctor will find out what kind of deficiency you may have. According to your vitamin and mineral deficiency, she recommends natural organic supplements that are high potency and the most absorbable one for your body type. Dr. recommends specialized supplements that rapidly transport healing properties to your targeted organs and systems of your body. Actually, these natural supplements are ideal and will be different for the young and elderly. When taking botanical capsule is inconvenient, liquid compounds provide an excellent alternative. In these days, our bodies need supplements because of malnutrition and lack of nutrients absorption. Maybe we eat various food but the body is NOT able to absorb the required vitamin and minerals. Vitamin deficiency can be the causes of some diseases. That is why we need to support our bodies with high-quality natural supplements. Actually, Doctor of Naturopathy will evaluate your health condition and according to your specific health she will advise appropriate supplements. Botanical Remedy: A Botanical herb can heal your body and mind if you take and apply it correctly. According to your health needs, Dr. Shari with her knowledge and experience will suggest Botanical herbs that can heal your body. Botanicals can restore your health and become your natural remedy without any side effects. Go green! you can feel the best health results that are unimaginable. Practice what your grandparents experienced it. Relaxation and Magnet Therapy: Magnets from small to big one can reduce pain and inflammation. Applying magnets on hand, feet or different parts of the body is one the effective ways of reducing pain without side effects. Each cell has an “ideal” charge when healthy when this charge is decreased it is a sign of a “sick or injured “cell. Now the cells (eg red cells) clump together and do not flow easily through the veins causing a decrease in circulation. With a magnetic charge passed through the body, it charges the membranes of the cell, red cells can repel each other. This lets the blood flow (circulation) more easily around the body. PEMFs also encourage the wall of the blood vessels to release chemicals that cause them to dilate. This causes the blood flow to increase, which delivers more oxygen to the tissues. Often, as a result of poor circulation, cells become unhealthy which increase their tendency to break down and become diseased. Improved circulation delivers nutrition and oxygen to tissues while expelling the waste they produce. This makes tissue healing and regeneration more efficient. We see this happen when swelling reduces and bruising disappears more quickly. Magnet therapy is a skill. Dr. Shari applies magnet on especial marma points to improve bioenergy flow. Magnetic fields have been found in extensive research in Europe, in humans and all kinds of animal species, to have many positive actions in the body. The medical magnetic fields work by stimulating the acupuncture system, the immune system of the body, improving circulation and oxygen levels in tissues, relaxing muscles, stimulating tissue healing, healing fractures and strengthening bones faster, decreasing nerve irritability, removing swelling, decreasing clotting and improving cell metabolism. Some very strong magnetic fields can actually stimulate muscles and nerves – used for incontinence, rebuilding muscles, nerves and depression. Dr. Shari applies The Multipulse machine has Variable speed from 1 pulse to 75 pulses a minute. This machine can help stimulate the pineal gland in the brain encouraging the production of melatonin. Melatonin prevents the production of free-radicals: It has been described as ‘a central governing neuro-hormone, having anti-stress, anti-aging, anti-infectious and anti-cancerous effects. Perhaps it should not be surprising therefore to find that magnet therapy has helped with psychoneuroimmunological problems such as ME, depression, Seasonally Adjusted Depression, lethargy, epilepsy, and schizophrenia. PEMF therapy should not be applied to those with pace-makers, if pregnant, in dialysis or if they have had recent cases of chicken pox. Always ask your doctor first. 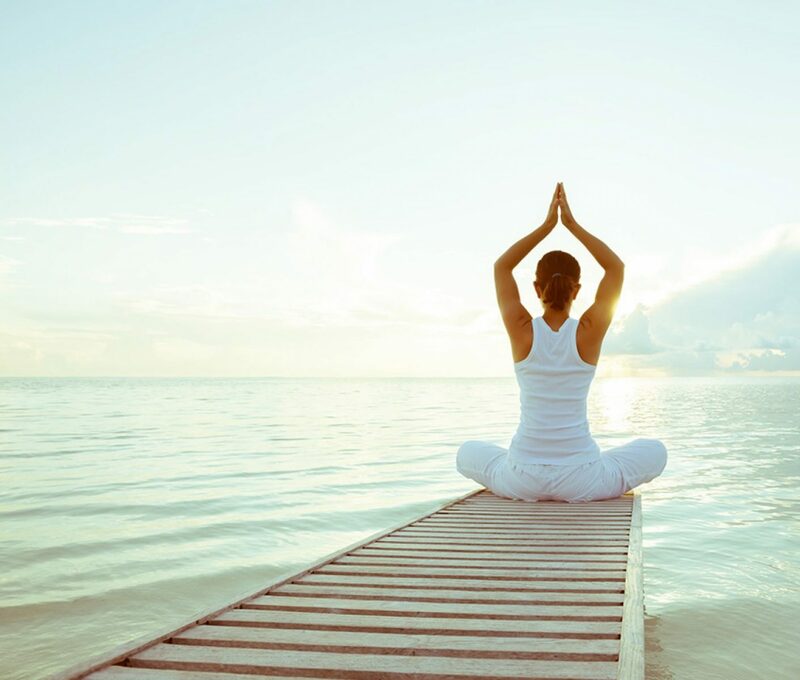 Yoga Therapy Sessions: Yoga heals not only the physical body but also mental and spiritual body. Therapeutic yoga sessions cover the specialized needs of the person. Actually, each therapeutic yoga session not only covers the physical alignments but also the mental and spiritual aspects of yoga her/his need. Our goal is to bring balance to the body, mind, spirit. Acupressure and Massage Session: Pressure points of the human body can be the healing points. Once we know what point to stimulate, we will be able to heal not only external pain but also internal organs. We help the body to heal itself in a natural way. Ozonated Water: Another step is drinking Ozonated water for rapid, safe, totally natural cell oxygenation without free radical damage. Totally natural cell oxygenation without free radical damage. It has been shown in scientific experiments that there is an inverse relationship between the amount of oxygen in the blood and the ability of cancer to spread. In other words, the more oxygen, the less your cancer is able to spread. Ozone is a superb way to get oxygen into your body. However, the amount of ozone in ozonated water is probably not enough to seriously stop the spread of cancer. But it may slow it down and help the other protocols do their job. Having healthy cells is not a passive process. Active, regular tuning-up of our cells is not only feasible but also necessary to slow aging and reduce the risk of cell dysfunction. We are, after all, only as healthy as our cells. Imperceptible cell dysfunction that is not corrected early can lead to disease. Fine-tuning can be done daily in only minutes, using pulsed electromagnetic fields (PEMFs). In addition, when there is a known imbalance (when symptoms are present) or there is a known disease or condition, PEMF treatments, used either alone or along with other therapies, can often help cells rebalance dysfunction faster. Doctor of naturopathy, Shari, teaches you how to lose fat while protecting your muscle mass, eating REAL food. You will learn the good and bad about food to make this a lifestyle change, versus a diet that starts and stops. This program will allow you to address the root causes of your symptoms and key issues such as controlling blood sugar while having 15 key functional imbalances corrected. I am a motivational speaker and I share my knowledge of Alternative medicine, nutrition and healthy living in an engaging and enthusiastic manner. I conduct corporate wellness lunch and learns, wellness workshops and keynote speeches at events for both large and small groups in Orange County California. We provide programs, and workshops for student residences, community centers, and student organizations, as well as for staff who offer student support services. We work with you to tailor programs to the needs of each group, covering a wide variety of wellness topics. When your employees get sick, this can cost your company thousands of dollars a year, including indirect costs like having to find a replacement, project delays, and missed deadlines. Sick days are taken for a variety of reasons from illness & poor health to stress & general fatigue. This will save your company lots of money in the long run through fewer sick days. My corporate wellness workshop will also leave your company with motivated and energetic employees who feel like they have a happy and supportive work environment. Training for student leaders, staff, and faculty interested in learning how to help students with eating disorders and body image concerns? Please contact us about scheduling a student leader, staff, or faculty training sessions. Call Shari Directly at 949-500-2984 and inform that you wish to make an appointment with Naturopathic Practitioner, Shari Nasrabadi. Notify the practitioner which type of service you wish. The Naturopathic practitioner sees clients in the Newport beach location. Upon arrival to the location, you will be asked to fill out intake forms. The practitioners need to prepare for the case in advance. She needs to collect the appropriate supplies from the main office, in order to complete her service. As an example, Naturopathic practitioner` needs to have remedies appropriate for the case, Her Iridology Magnifier and computer, exam documents, and other professional tools necessary to evaluate the case. Please try your best to be on time. Appointments are scheduled approximately every 1 – 2 hours, depending on the service requested. Every client receives personalized attention and is taken care of one at a time. If you are going to be late, please call our office as soon as possible. Please review our office policies listed below and be mindful of your practitioner’s time and effort. Our Practitioners Set aside Time Just For You! If you need to cancel an appointment, please notify our office as soon as possible. The 24-hour notice allows the practitioner time to re-organize his/her schedule. However, we do understand that lives are complicated and emergencies arise. We do take that into consideration. Please notify us as soon as possible. Cancellation on the day prior to your appointment, after 5:00 p.m., or on the same day as your visit the My Traditional Yoga and Naturopathy LLC. will impose a cancellation fee of $25.00 to cover the practitioner’s efforts in preparing for the client. We greatly appreciate your cooperation. Thanks again for choosing My Traditional Yoga and Naturopathy for your natural health care needs. My Traditional Yoga and Naturopathy management is sensitive to health care costs, financial difficulties, and those in a low-income status. Typically doctors of Naturopathy in the Orange County area charge between $220.00 to $480.00 for an initial visit. Medical doctors, practicing alternative medicine, will charge as much as $3,000.00 to work up a case. In order to meet the needs of the average consumer, WINM staff tries to set prices, in a way that can be more affordable. Our natural health doctor charges between $50.00 and $225.00, which is reasonable for the amount of time spent evaluating a case. Typically naturopathy doctors spend approximately to two hours in an initial exam. Based upon over 100 years of combined experience, our natural health doctors have observed that low-income clients tend to be the neediest. We sincerely acknowledge that but our office has a monthly overhead to meet and survives only through fees received from clients, classes and remedy purchases. We receive no government subsidy nor insurance reimbursements. Therefore minimal fees are necessary. Our staff whole-heartedly cares to help those in need and would gladly do our job without financial reimbursement, but within our economic conditions, we have financial obligations. Insurance: Naturopathy does not directly deal with insurance companies. Check with your insurance company’s website to see if it provides a discount plan. If you see our practitioner is listed please print out the verification from the website and bring it into our office for authorization. In some cases, you may be able to receive insurance reimbursement for our services. Please notify our office staff that you will need an insurance form for submission. In addition, we have seen reimbursement for care when the client’s primary physician writes a referral or prescription for the service. This referral can be attached to the insurance form for your submission. My Traditional Yoga and Naturopathy does not submit any insurance forms; it is up to the client to do so. We will not give out our federal number prior to a visit for insurance pre-approval. Clients can request an insurance form after a service is rendered. Many Americans use complementary health approaches, but the type of health insurance they have affects their decisions to use these practices. If you would like to use a complementary or integrative approach and don’t know if your health insurance will cover it, you should contact your health insurance provider to find out. Is this complementary or integrative approach covered for my health condition? Does coverage require seeing a practitioner in the network? Do I have coverage if I go out-of-network? Are there any limits and requirements—for example, on the number of visits or the amount you will pay? How much do I have to pay out-of-pocket? Keep records about all contacts you have with your insurance company, including notes on calls and copies of bills, claims, and letters. This may help if you have a claim dispute. If you’re choosing a new health insurance plan, ask the insurance provider about coverage of complementary or integrative health approaches. You should find out if you need a special “rider” or supplement to the standard plan for these approaches to be covered. You should also find out if the insurer offers a discount program in which plan members pay for fees and products out-of-pocket but at a lower rate. Flex Plans: Many offices offer flex plans to their staff members, of which medical bills can be deducted. Flex plans are quite favorable in reimbursing bill for alternative medicine. In many cases, just a receipt is needed. At times specific forms or letters may be necessary. Please check with your workplace to determine what is needed. Cost of Supplements: Our remedies run from approximately $10 to $50. A few remedies can be higher. The number of remedies selected is directly reflected by the number of complaints the client may have. The more complaints that need treatment the more remedies the client may need. Our remedies have proven to be less expensive than other doctor’s offices. The remedies we charge $23.00 have been seen for $33.00 in other offices. When selecting a price, of a remedy, we try to fit it into the average consumer’s budget. Supplement Costs: We only select remedies that are needed based upon the consultation and exam finding. The final decision is the clients. We do strongly suggest a cleansing remedy with every treatment plan since treatment of symptoms will not work as well when the body is not cleansed of toxins. As the body heals it produces toxins from cellular metabolism, as a result, it needs assistance with cleansing. I am not currently part of any group insurance, you could possibly well benefit from seeking Alternative medicine coverage from your insurance. If you request, your insurance will give you the Alternative medicine option in the future.